Fast Response! We will clear the toughest drains! The Rooter Drain Expert specializes Drain Cleaning. With the best tools in the industry we can take care of even the toughest clogs. Hair clogs, grease clogs, roots clogs any kind of clogs, we’ll take care of it! 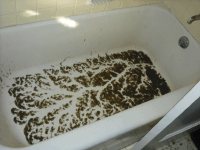 Our Snake Drain Cleaning Machine will clear most clogs, it will remove the hairs out of you bathtub drain, when a cutting blade is attached it will cut small root clogs too. However, if your drain does not clear with the Snake Drain Cleaning Machine, enter the hydro Jetter. The Hydro Jetter Drain Cleaning Machine uses a jet of water at 4,000 psi. The Hydro Jetter drain cleaning machine can virtually clear any clog. Old clay pipes have vulnerability to roots. Clay pipes come 3-6 ft segments, forcing the use of union joints when installing it. Joints are a weak point where roots can find their way into the pipes. 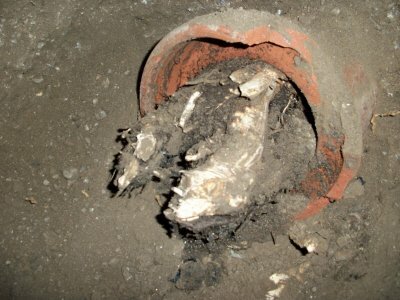 However, that’s not the only way you can get roots inside your sewer pipe, broken damaged or cracked metal and clay pipes are vulnerable too. You can clear the root clog, but it is more likely the roots are going to grow back again. The best solution is to replace or rehabilitate the infested pipe. We have many options our technicians will recommend you the best. The Rooter Drain Expert has the best cameras in the plumbing industry and we can create a DVD of your sewer inspection too, if so you desire. To do a trench-less pipe replacement we only need an entry point and an exit point, that reduces excavation by up to 95%. saving you time and money. We are the local Moorpark plumbers and we are here to help up, as the local Moorpark Plumbers we see our clients as part of our communities and neighborhoods. The Rooter Drain expert is a local business, we can give you the best prices with less overhead and a personalized customer service big companies cannot compete with us. We are the Moorpark plumbers, we are licensed, we have the best tools in the industry. We know everything we need to know about plumbing. Give us a call and be one more of our happy customers. You can visit Wikipedia Moorpark CA to learn more about Moorpark culture and people.